We are scheduled to make a date-sensitive border crossing in a few days. 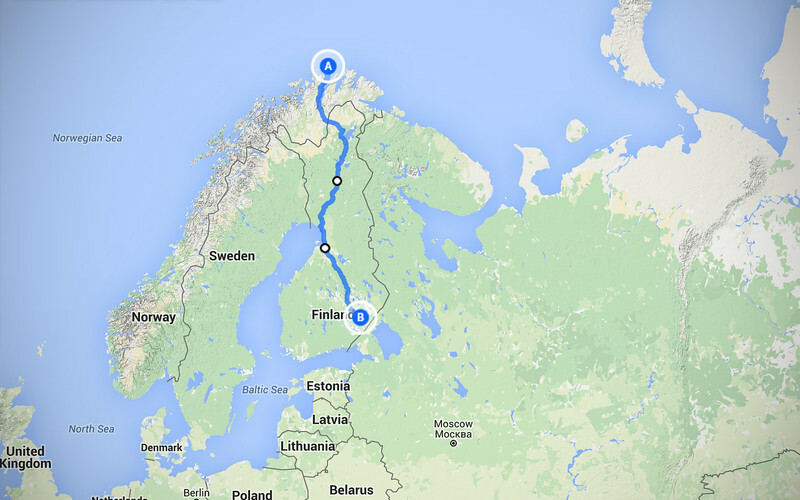 Unfortunately while we were at Nordkapp I realized that I misremembered the date and it was actually six days later than I thought. Normally six days more time is not a bad problem to have, but because I got the date wrong, we were rushing through Norway a lot faster than Neda had planned. She wanted to enjoy the nature and do some hiking but all we did was ride and ride for two weeks. I reminded her that the weather was crappy, she couldn't have hiked anyway. We're traveling south through Finland and the scenery is the same homogeneous boreal forest that you find all over Canada and Scandinavia. It's a long ride back to mainland Europe, but we have lots of time, as I'm reminded constantly. During this time on the road, the squabbles and arguments bubble up again over the communicator. 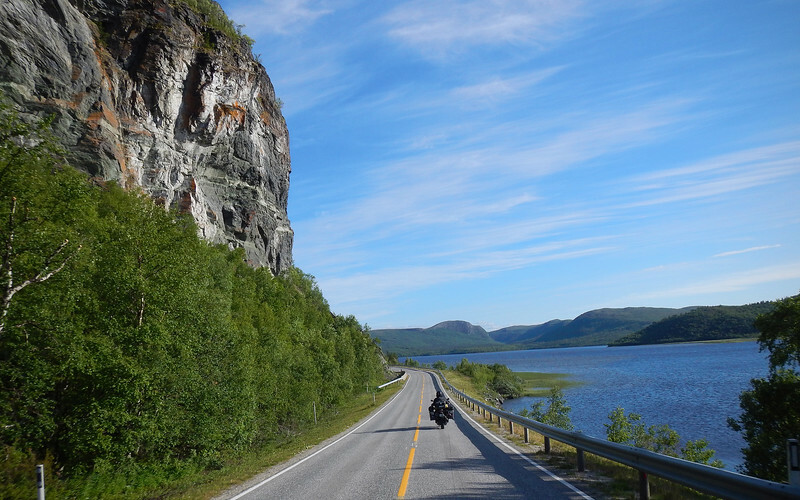 We've been looking forward to riding Norway the entire year and Neda is still upset that she didn't get to spend more time camping and hiking. 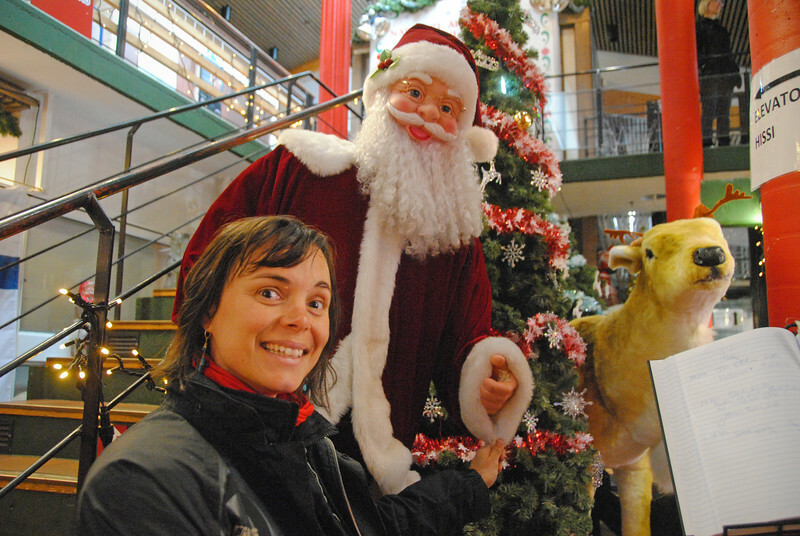 There is a huge misunderstanding about leaving Lofoten earlier than she wanted. I thought she wanted to leave, she thought I wanted to leave. So we left and that wasn't what either of us wanted. Neda is angrier than I've ever seen her this entire trip. That makes me feel very defensive over what I thought was an honest mistake. Plus I'm also feeling under-appreciated for all the work I put in planning the next stage of our trip. Nothing is getting resolved. It's just better if we drop it and continue our ride. 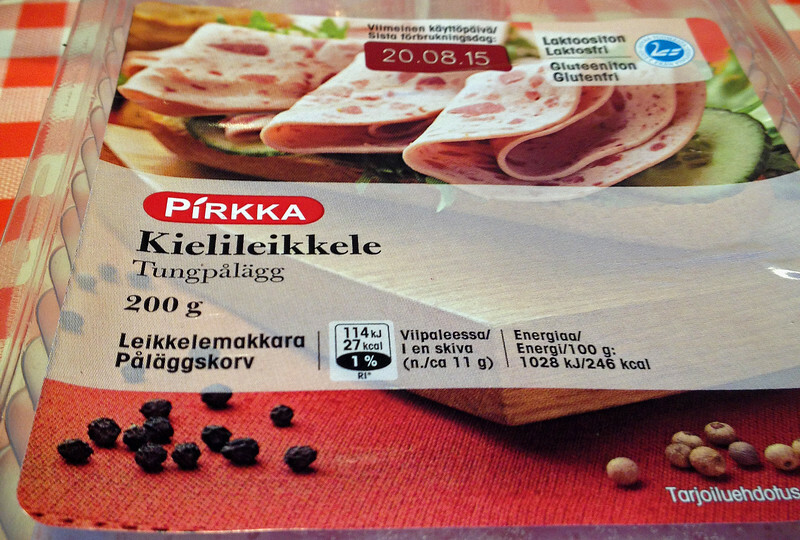 At least the groceries and camping are less expensive in Finland. It sounds like something you would say to a baby when you are tickling them. 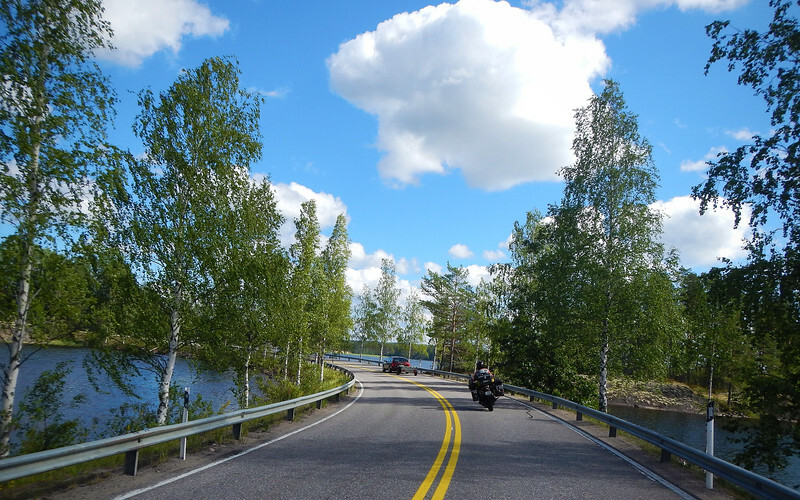 From Ivalo, we head down the main highway that passes through Rovaniemi. 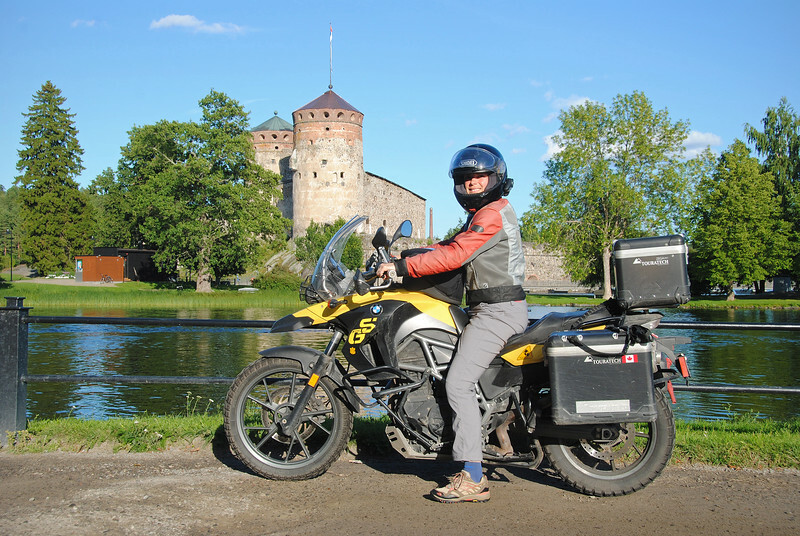 This is where the Arctic Circle runs through Finland, so we take a break from riding and pull into the visitor's centre there. And then back on the road towards Oulu. The scenery is still the same. We start arguing once again about having to leave Norway early. We have almost a week to kill before we can cross the border. 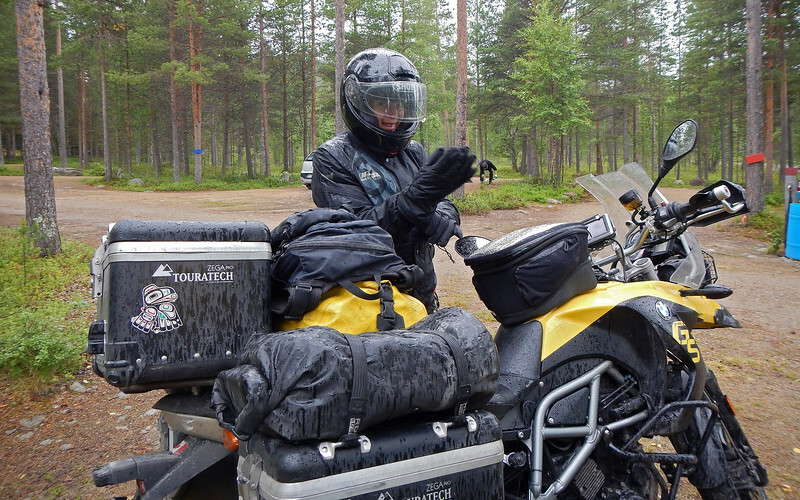 So we attempt to get some regular maintenance done on our bikes at the dealership in Oulu. We've always just showed up at the service centre and have always gotten an appointment immediately. However here, they are busy for the next three weeks. The service manager helps us by calling around to the other dealerships in Finland and everyone is booked solid. We can't even make productive use of all this time we have on our hands. 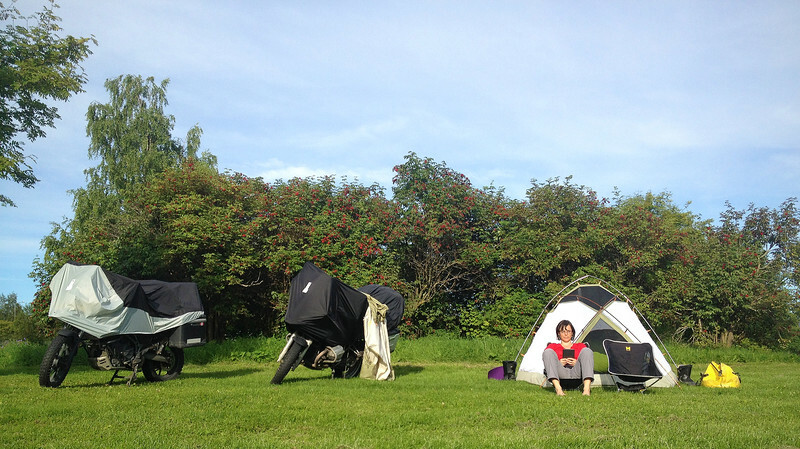 We find a campsite in Oulu and during that time, we don't really say much to one another. With the midnight sun far behind us, the nights are getting darker now. 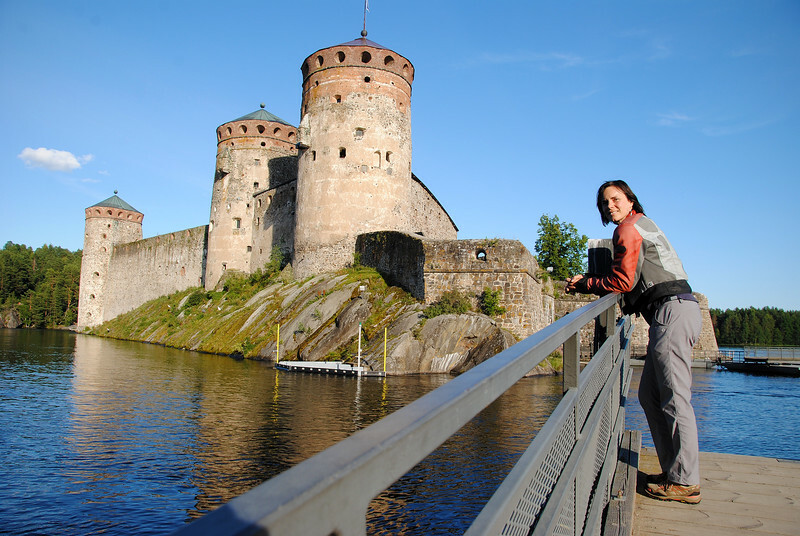 After about a week in Oulu, we pack up and head to Savonlinna. It's here that we have a final knock-down, drag-out fight to end our time in Scandinavia. This is more than a simple argument about forgetting dates and we both know it. You don't argue about something that trivial for an entire week. We are not enjoying the trip anymore and the stress of having a schedule and rushing to meet dates is taking its toll on us after over three years of constant travel. I think all this stress started before we went to Toronto at the beginning of the summer. 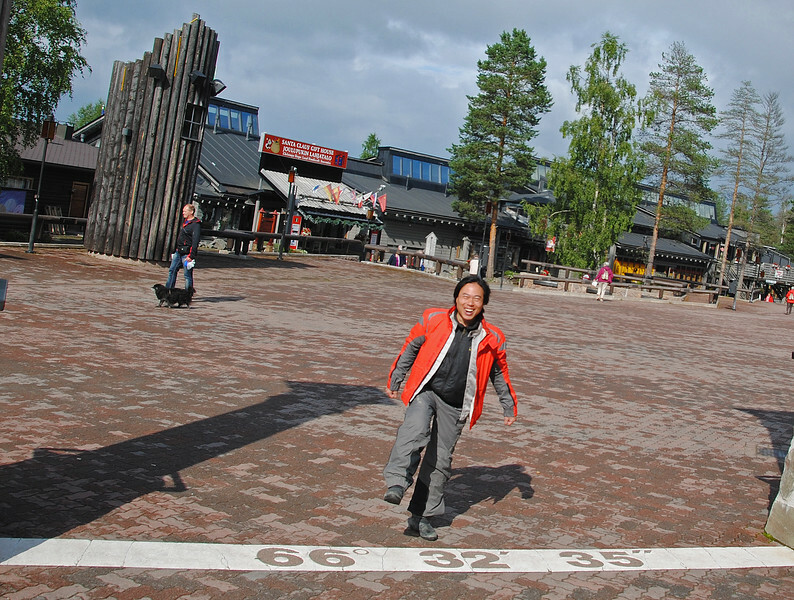 We had to rush through Central Europe to catch our flight back, it was busy and hectic while we were overseas, and then once we were back here we had to rush through Norway because of the border date (yes, the one I got wrong). To make matters worse, we are heading into a part of the world that requires visas and carnets at every crossing, with entry and exit dates carved in stone. So the dates and deadlines would only get tighter and more strict from hereon. We've always traveled when we wanted to and on our own schedule, but this won't be possible anymore when we travel though the countries in the Middle East and Central Asia. Just thinking about trying to stick to all those dates made our stress levels skyrocket. Part of me is very embarrassed that we've turned into the non-committal kind of people that cringe with visible distress at the sight of dates on a calendar. Has all of this freedom spoiled us that much? This is supposed to be fun and it most obviously isn't anymore. It's not worth the time or the damage to our relationship. So after much talk, we finally discussed the possibility that this trip might be over. And as soon as we both acknowledged this, an immense weight seemed to be lifted off of our shoulders. A weight that we've been carrying for a few months now. Perhaps we were trying too hard to hang on to something that should have been finished quite some time ago. The only problem is that we're not sure where home is anymore. Our trip back to Toronto confirmed that we don't really want to move back into the city. Maybe somewhere outside of it. Don't know. These are still things we have to talk about. So the current situation is that we have a couple of appointments we have to keep - dates that we had planned months ago. But the plan now is that after we've finished with those appointments, we would not make any further arrangements to continue our trip and in the meantime give some serious consideration about where we would end up. 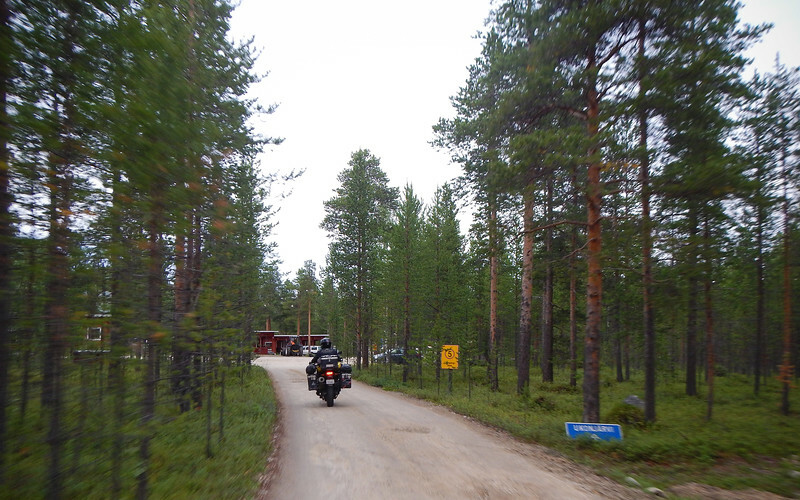 I know we've missed out on a lot in Southern Finland because neither of us really felt like doing any sightseeing. But now that we've got some of our issues resolved, we try to make the most of it before moving on.